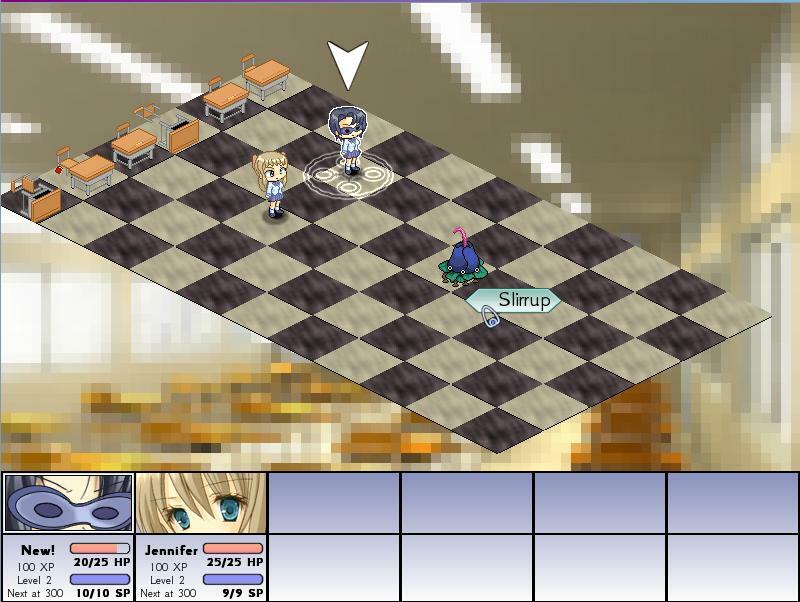 As you may have heard, we're currently working on a new version of Science Girls with various improvements to battle graphics and walking sprites. If you are an existing customer for this game and would like to download a beta version of the new game to help hunt for bugs and give feedback on the new graphics, please contact me with your order details and I will set up a download for you. Wow! I still haven't finished the game due to lack of time although I bought it way back in August so I'm probably useless for testing purposes but it's great to see, that the game is still evolving in one way or the other! We're changing some things in Science Girls (there may be more changes coming) and I've put up the demo of the new version, with new walkaround and combat graphics.